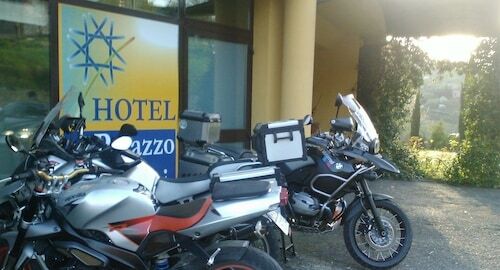 Situated in Monticiano, this hotel is 0.1 mi (0.1 km) from Val di Merse and 6.2 mi (10 km) from Terme Petriolo. Siena Cathedral and Piazza del Campo are also within 20 mi (32 km). 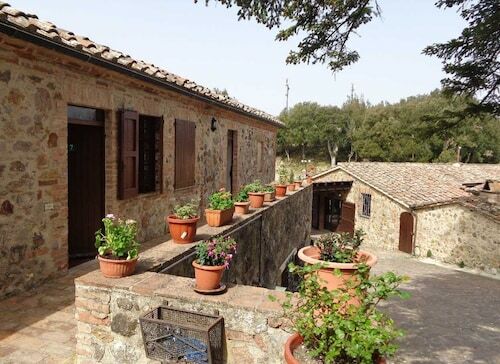 This family-friendly Monticiano farm stay is located in a rural location, within 3 mi (5 km) of Val di Merse and Castello di Montepescini. Terme Petriolo and Castello del Belagaio are also within 12 mi (20 km). Situated in a rural location, this historic cottage is 0.1 mi (0.1 km) from Val di Merse and 4.5 mi (7.2 km) from Abbazia di San Galgano. Siena Cathedral and Piazza del Campo are also within 25 mi (40 km). 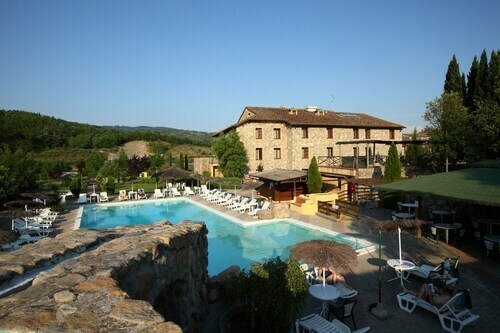 Situated in Monticiano, this hotel is 0.1 mi (0.1 km) from Val di Merse and within 12 mi (20 km) of Castello di Montepescini and Terme Petriolo. Siena Cathedral and Piazza del Campo are also within 16 mi (25 km). How Much is a Hotel Room in Monticiano? 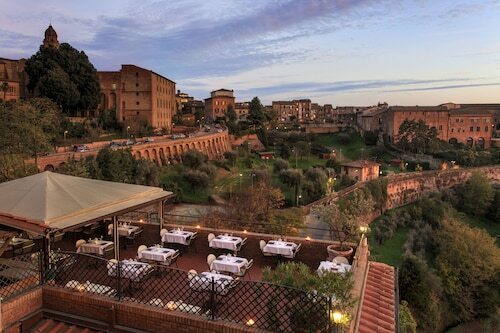 Hotels in Monticiano start at $92 per night. Prices and availability subject to change. Additional terms may apply. 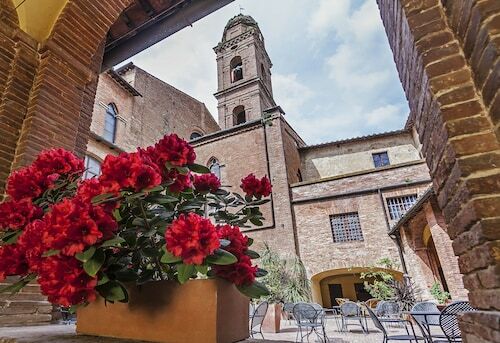 Are you dreaming about visiting Siena and want to find somewhere to put your feet up in Monticiano? Travelocity has a wide range of options. Within a convenient driving distance of the downtown area of Monticiano, you can find 10 excellent rooms. Find out about many Travelocity-listed rooms located within a 3 miles (5 kilometers) of Monticiano's town center, like the Da Vestro and Fontanini. 13 miles (21 kilometers) away from the town center of Monticiano, you will come across the Castello Banfi - Il Borgo. 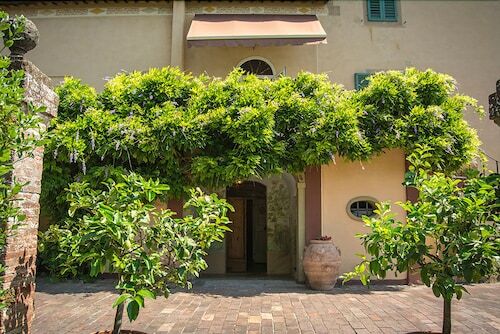 The Relais Borgo Santo Pietro is located 5 miles (8 kilometers) away. The Rosewood Castiglion del Bosco along with the Castello Di Vicarello are two more Travelocity-listed accommodation options worth checking out around Monticiano. 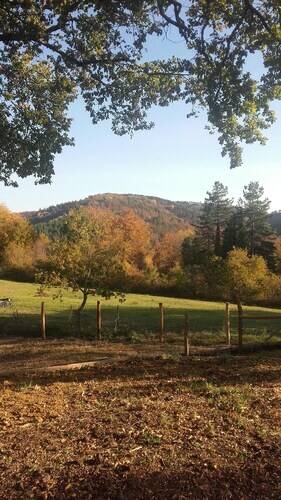 When you have some spare time, adventurous travelers should discover the other scenic and cultural delights of Tuscany. Visit Tuscany's ruins, castles and traditional villages and you can also relish the area's rural landscapes and beaches. Travelers in this section of Italy commonly enjoy snowboarding, skiing and snow shoeing. Consider spending some time visiting Archeological and Collegiate Church Museum and Torre Rognosa, which you'll find in Val d'Elsa, 20 miles (32 kilometers) north of Monticiano. Should you wish to visit Val d'Elsa, check out the rooms at the Tenuta Di Mensanello and Torraccia di Chiusi. Or, you could stay the night in Val d'Orcia, 20 miles (33 kilometers) to the east of Monticiano, where you can choose between the Adler Thermae Spa & Wellness Resort and Hotel Osteria Dell Orcia. The Collegiate Church of San Quirico and Palazzo Chigi are more frequented sites to visit when visiting Val d'Orcia. Get your serving of sport by taking a pilgrimage to Stadio Artemio Franchi, which is located 45 miles (74 kilometers) to the north of Monticiano. Stay not far from the action at the Four Seasons Hotel Firenze or the The St. Regis Florence. Peretola Airport is a primary airport for those flying into Monticiano. You can find it 45 miles (76 kilometers) from the heart of the city. 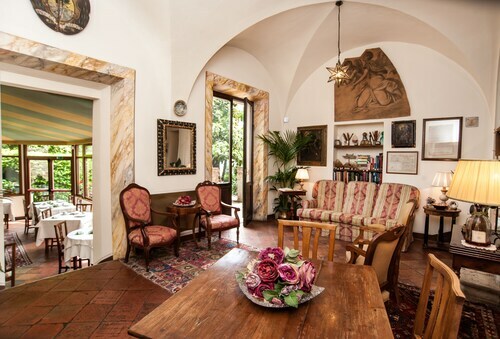 If you hope to stay nearby, book a room at Torre di Bellosguardo or Sina Villa Medici. Hotel Athena has a rooftop bar with an amazing view. The staff were very helpful and professional. It was easy to get to and parking is available. Staff was fantastic and Atla the bartender the best! One of our most pleasant stays in Italy! This hotel has it all- comfortable rooms with amazing views, an extremely helpful staff, and excellent breakfasts. It was a former convent and it's history is fascinating. You can even visit the chapel onsite. The hotel is well located near sites we wanted to visit and close to several excellent restaurants. I highly recommend staying there. 5.0 It was a perfect stay at a top-notch hotel! Everything was perfect and so was the staff! It had old world charm and modern conveniences!! !